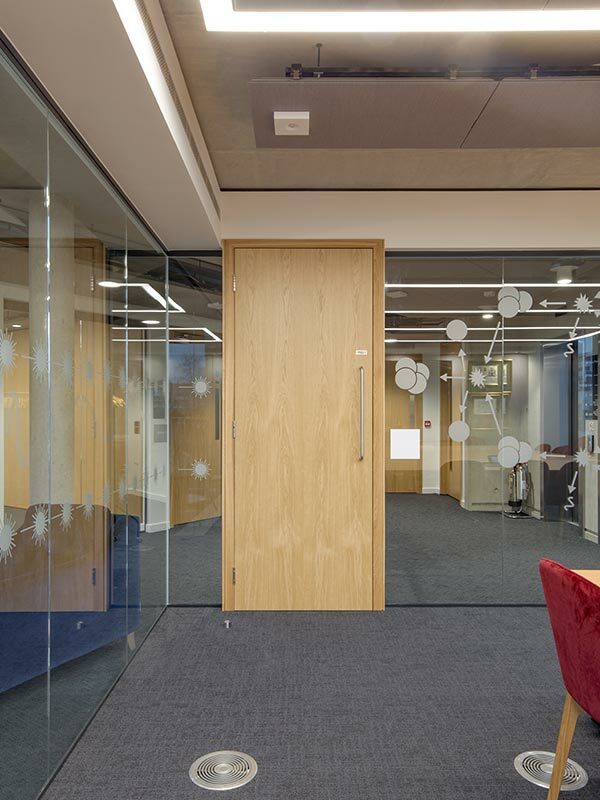 The Institute of Physics (IOP) is a world-leading, international scientific society with over 50,000 members. 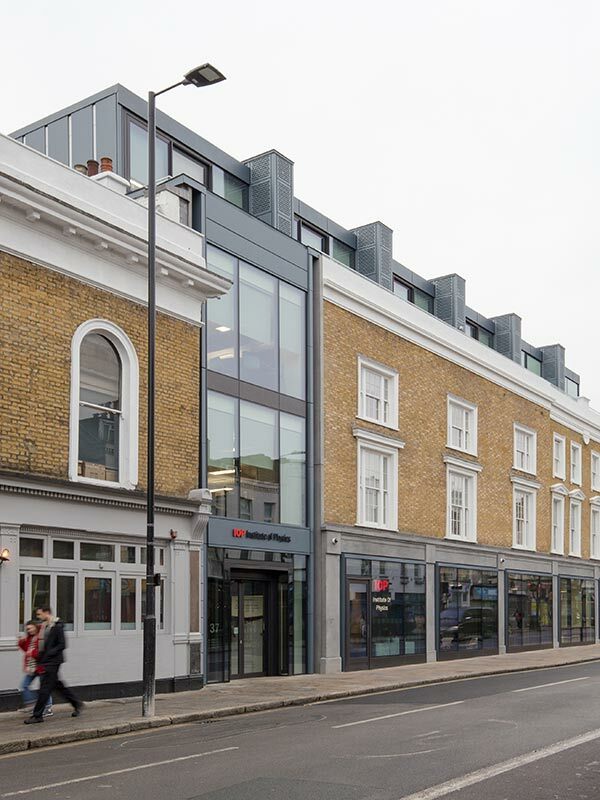 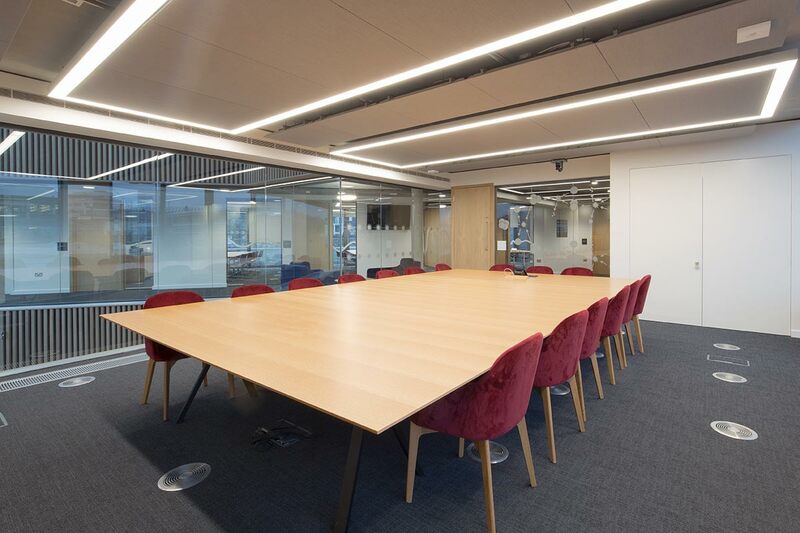 After acquiring the freehold of a site on Caledonian Road, London, they set about creating new headquarters for them to re-locate to from their previous home in Portland Place. 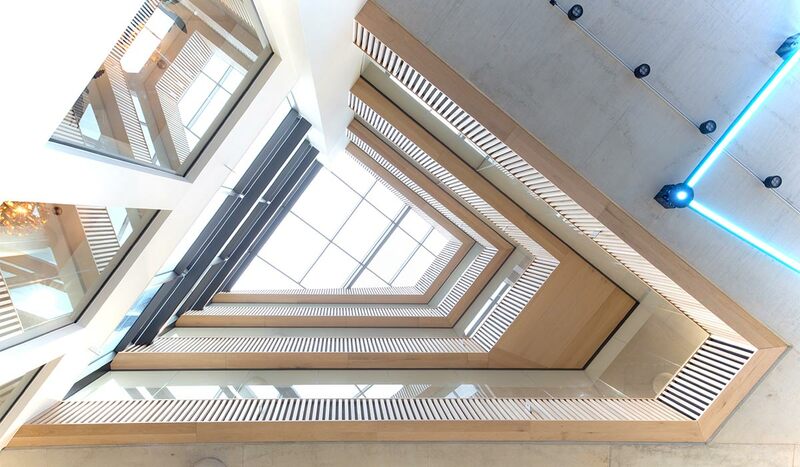 Designed by TateHindle architects, the development provides 26,000 sq ft of offices, meeting rooms, lecture theatres and exhibition spaces that allow the IOP to use the building in a variety of different ways. 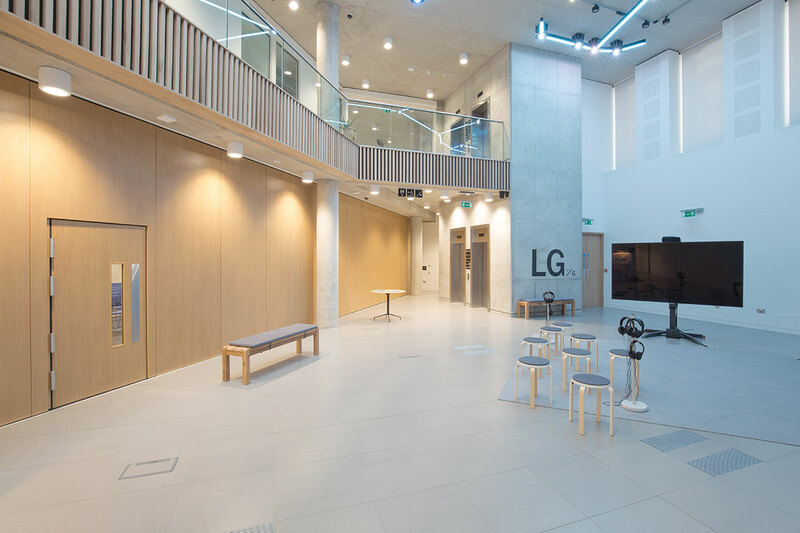 The basement level is predominantly an exhibition and conference space and the design allows a number of configurations to cater for a plethora of different events.The ground floor is made up of meeting and member’s rooms and a large cafe. 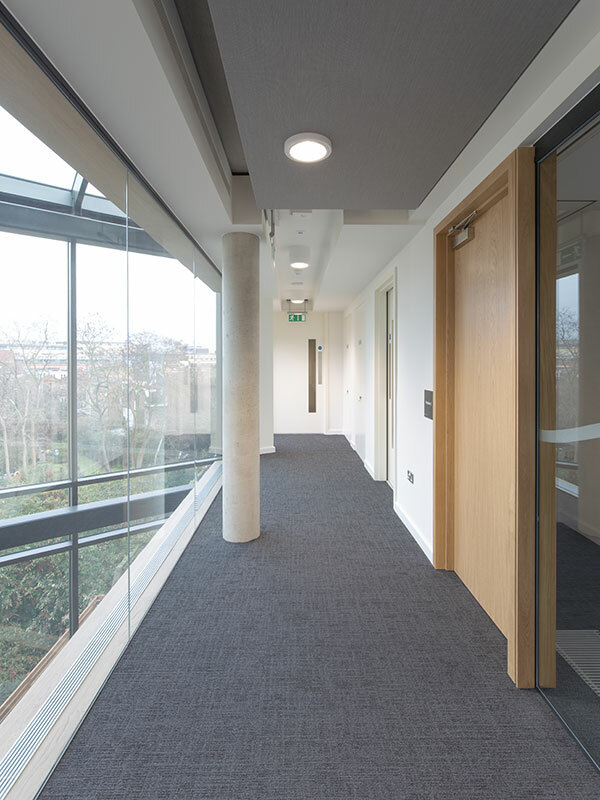 The first and second floors are home to the staff offices whilst the third floor consists of meeting rooms and terrace space allowing for different configurations to suit various events that may occur at this level. 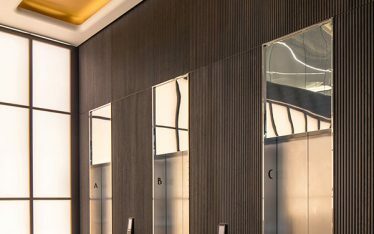 Utilising a palette of glass, exposed concrete and oak, the architect has created interior spaces flooded with light and contrasting in material aesthetic. 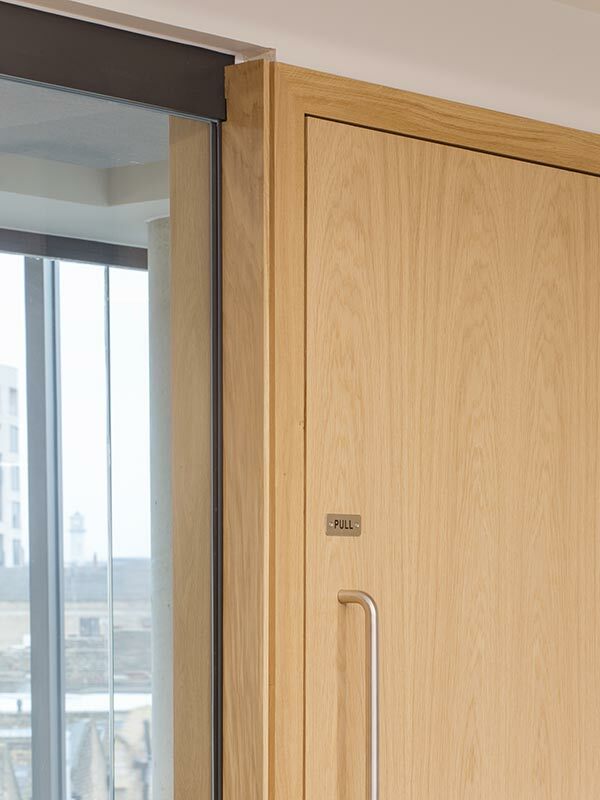 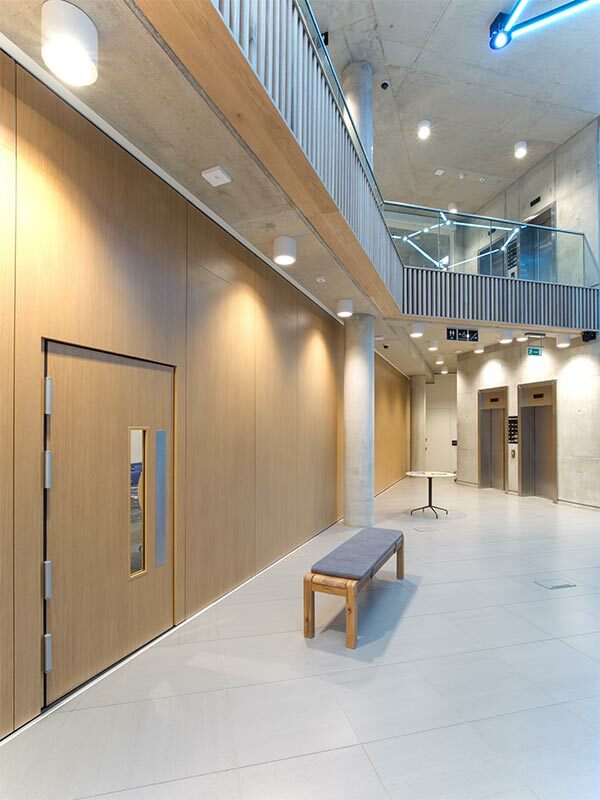 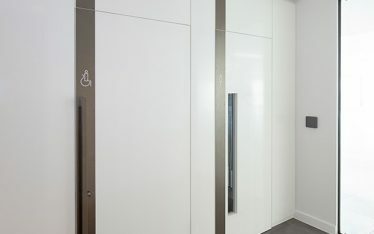 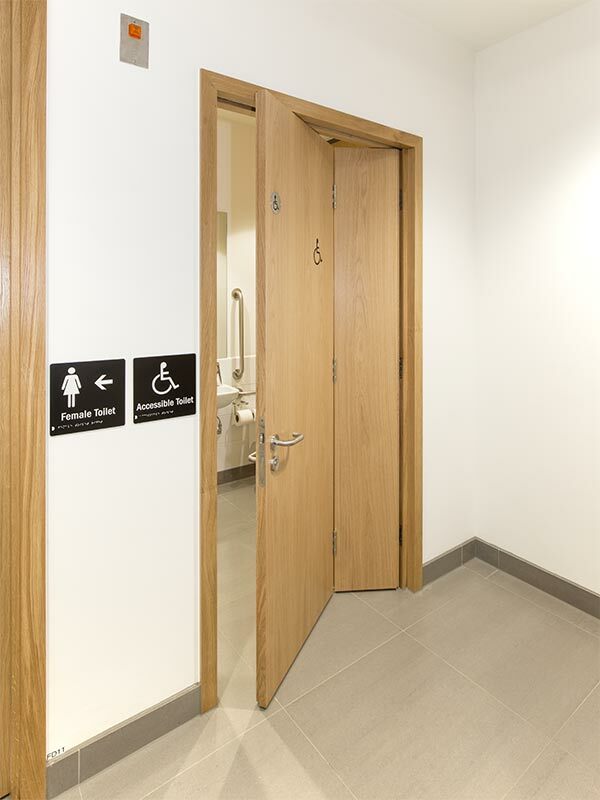 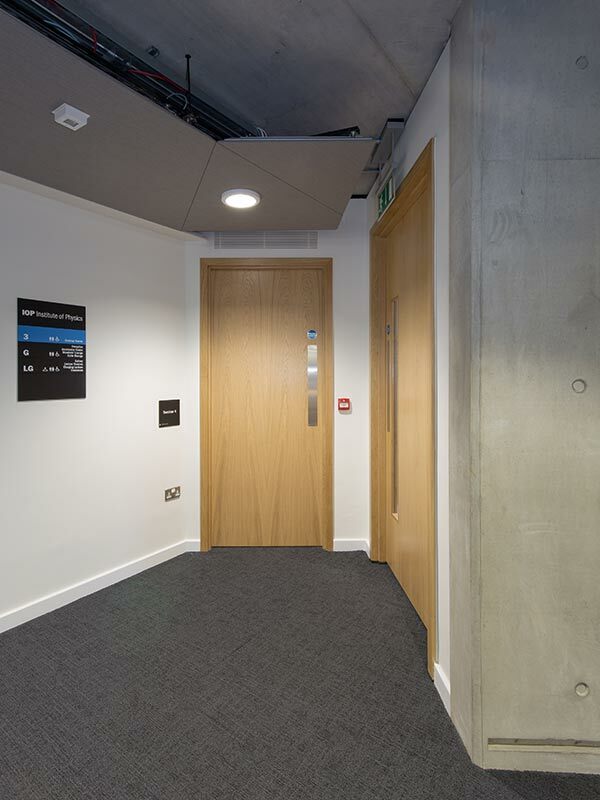 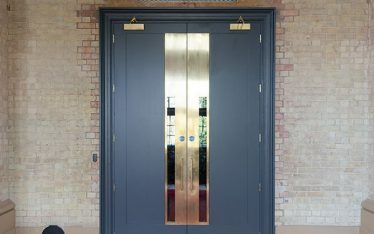 Shadbolt helped achieve the design required by manufacturing and supplying a host of bespoke FSC® certified FD30 and FD60 fire resisting doors and doorsets, 43dB acoustic doors and glazed doors, finished in both crown-cut European Oak veneer and RAL 9010 lacquered paint finish.